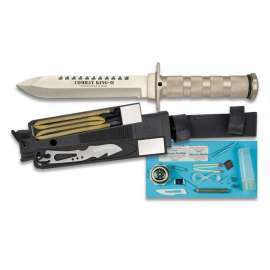 Survival Knife for professional use. 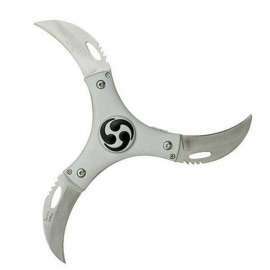 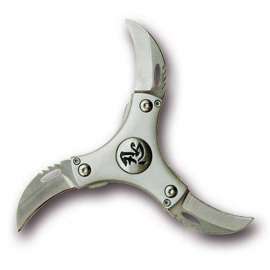 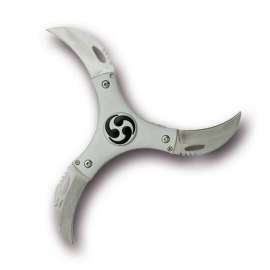 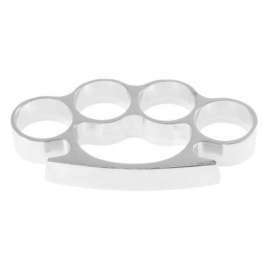 Silver 16cm stainless steel blade. 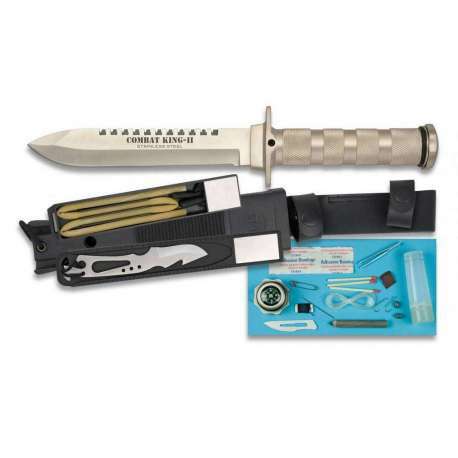 Hollow aluminum handle housing a complete survival kit. 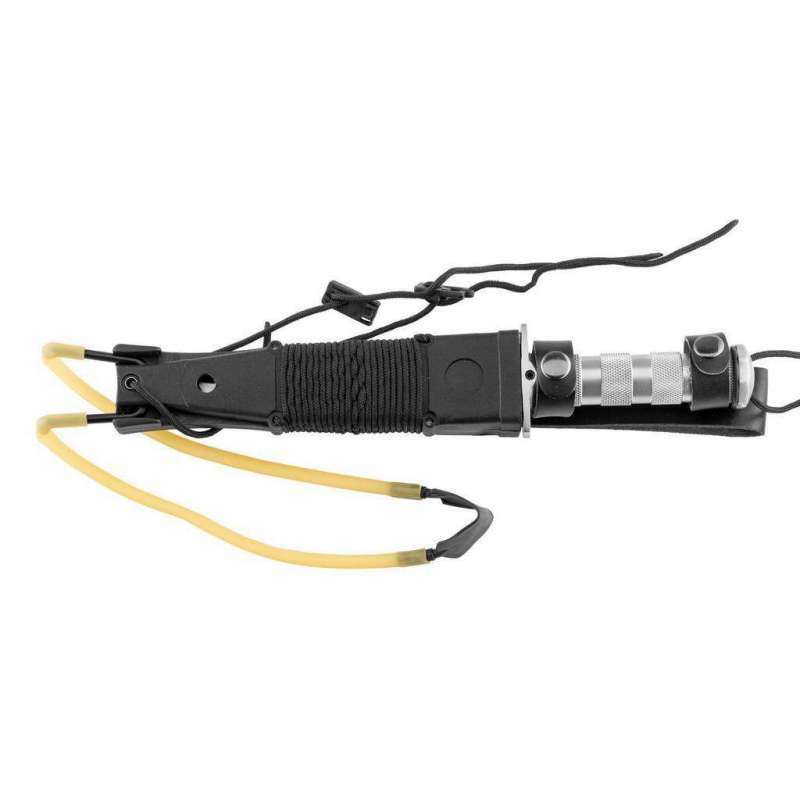 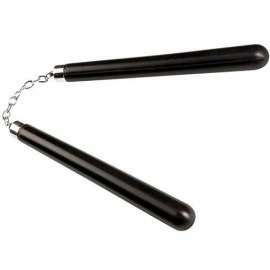 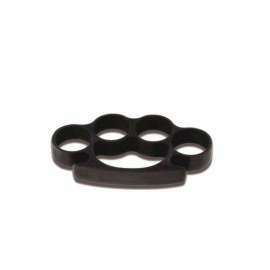 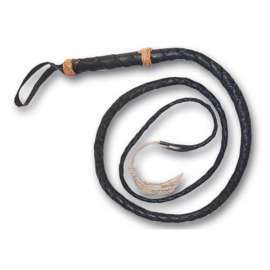 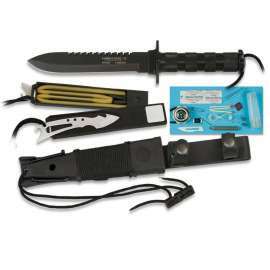 Hard Black nylon-ABS case including a slingshot and a harpoon blade. 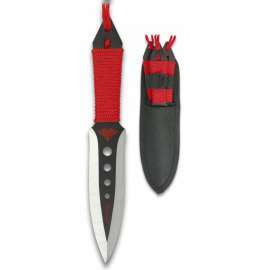 Dagger style survival knife with 16cm stainless steel blade notched on the back for use as a saw. 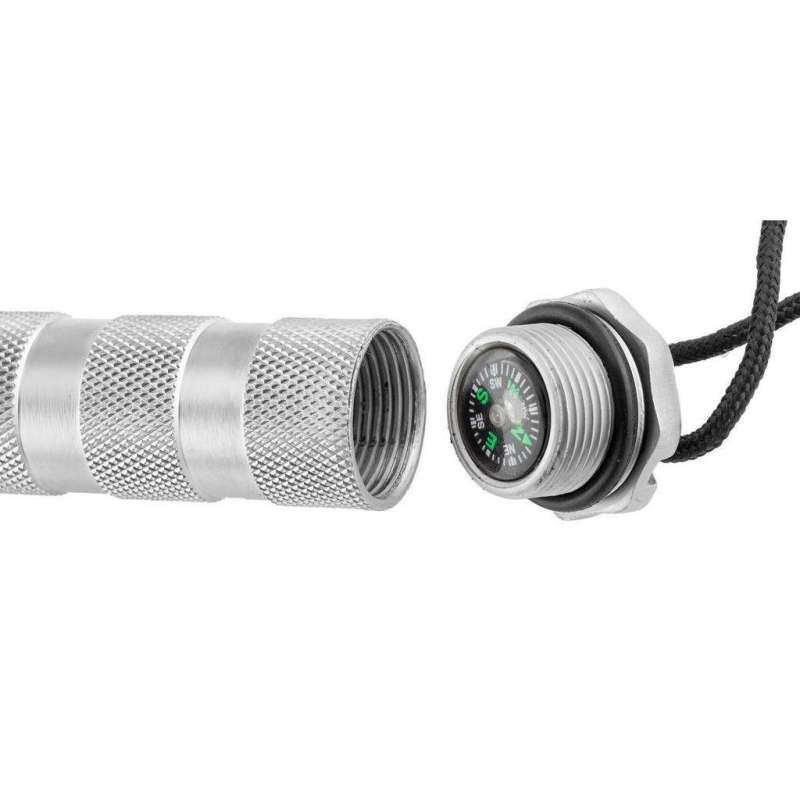 Hollow 13cm aluminum handle containing survival accessories, closed by a cap with integrated compass. 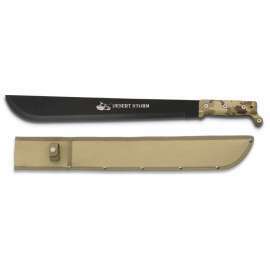 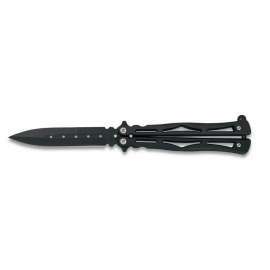 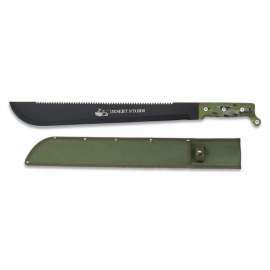 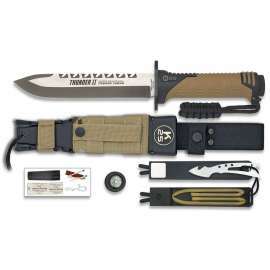 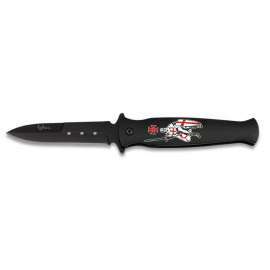 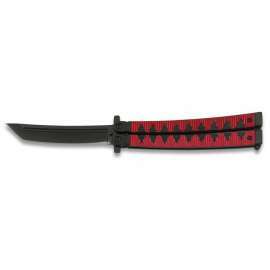 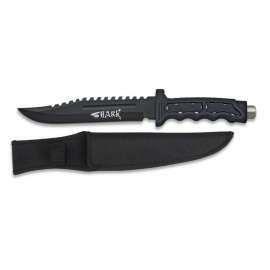 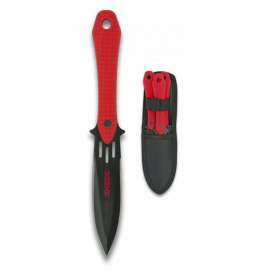 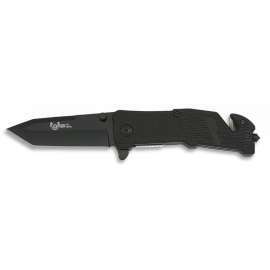 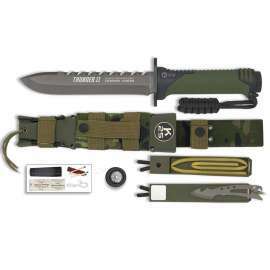 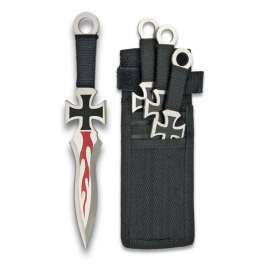 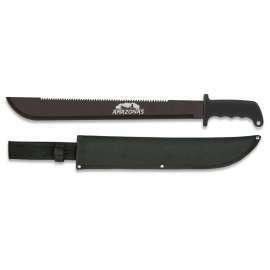 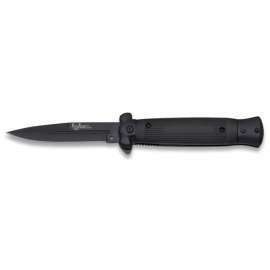 This knife model comes with a Black nylon-ABS case for attachment to a belt, including a slingshot and a harpoon blade or spearhead.